Save 33% On Your Energy Bill With A Programmable Thermostat… I Did! Looking to save a couple hundred dollars this year in about 30 minutes? Install an EnergyStar certified programmable thermostat. About a year ago I decided to experiment with a programmable thermostat in my home. The result, after 1 year: big savings. My energy company (and your’s probably will too) gives me a side-by-side comparison of how many kWh of electricity I used in the current month and to the current month one year ago. The best part is that I’ve noticed a trend. My energy bills are significantly less each month this year than they were in the same month last year — especially as the temperature starts to rise. What Makes Programmable Thermostats So Great? Programmable thermostats give you the ability to designate pre-programmed temperature changes in your home. Won’t your home be sweltering if you even increase its temperature during the day by a measly 2 degrees in the summer? Well, yes… or no. It won’t matter if you work a regular 9-to-5 job and no one is home during the day, but what if you have an irregular schedule due to working from home, having a swing shift, being a stay at home mom, etc? More on that later. 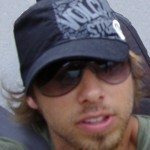 7 Day Schedule – This allows you this most flexibility in your settings. With this feature (instead of the 5+2 or 5+1+1 schedule options) you can set all weekdays together with different weekend setting OR you can set each day to it’s own program (works well if you have an irregular schedule and work from home, like I do). Temporary AND Vacation Hold – Temporary hold allows you to override the pre-programmed setting for a short period of time. The “hold” will be canceled at the next pre-set cycle. Vacation hold allows you to suspend your current settings and implement a different, more efficient temperature setting while you’re away for a few days. Best of all, your home will be back to normal on the day you return. Sweet huh? Backup Battery Power – It’s a good idea to have this feature so that in the event of a power failure, you will not have to reprogram your thermostat. For my home and specific HVAC system, I chose the Hunter 7-day programmable thermostat. It has all the above mentioned features plus some other handy features. Perhaps one of my favorite additional features it has is an air filter monitor that reminds me when it’s time to change the filter. This is vitally important to efficient heating and cooling! 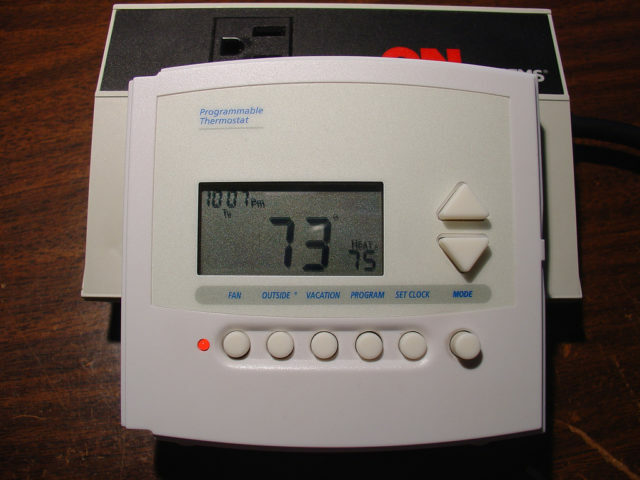 Two of the most prominent manufacturers of programmable thermostats are Honeywell and Hunter. Don’t make the mistake that I made and cost yourself more time and money. Before installing your new programmable thermostat, shut off the power to your unit by flipping the breaker at BOTH your fuse box and indoor portion of your HVAC unit. If you do that, you can install your new programmable thermostat in about 30 minutes. Have you ever had a programmable thermostat in your home? If so, how did you like it?